Welcome to Chef & Griddle - Hog Roast Caterering at its Best! You only get great food with a happy team behind the scenes and they don’t come much happier than the Hog Roast Catering crew. Nothing makes us happier than seeing another great event go smoothly and successfully. Smiling faces, a passion for great cooking and a totally professional approach is guaranteed. We really do know that making your event run like clockwork is very important, and we also know how important it is that all your guests love the food and leave with great memories of a fantastic event. And of course, we can help take the pressure off you, so you can chill out and enjoy the party as much as everybody else! 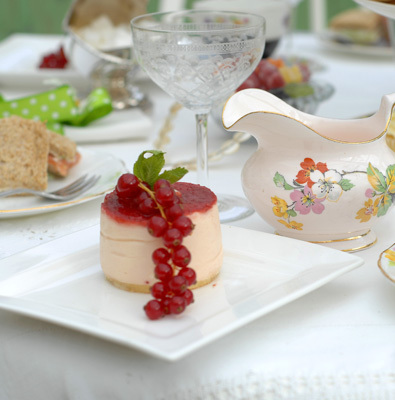 Always fancied a bit of an alfresco event? Well, thanks to Chef & Griddle, you can turn your alfresco dreams into reality. 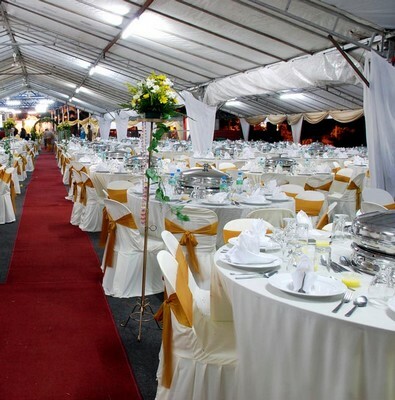 Talk to us and you are talking to the local experts in event catering. Whatever type of function you have planned, we can help you make it happen. Maybe it’s a big birthday celebration, a Christening, a wedding celebration or a charity fundraiser, a lovely alfresco event will go down a storm. What’s more, we can either help you do it yourself through our equipment hire service or we can send in our local professionals. Remember that when it comes to hog roast catering, we are up with there as one of the very best. About the only thing we can’t do is control the weather! Hog roast really is one of the most talked about catering solutions these days. It does not matter what the event is, hog roast is trendy again and is finding its way into a whole new world of special occasions, but this is not just about the fact that hog roast looks majestic and amazing and is the talking point of every event where it is served. This is also about the really fantastic flavours that you get with hog roast. And of course, thanks to the wonderful specialist machines we use, you can branch out and roast chicken, lamb, beef or cook chops, bangers and steaks, too. It’s this incredible versatility and quest for flavour that has seen a surge in demand for our services here at Chef & Griddle. Hog roasting may sound like a lot of fun (which of course it is) but it’s something that we take great pride in and you will never get anything less than total professionalism from us. Over the years we have built up a wealth of experience in perfecting the very best in carvery services for you and your guests and this helps us ensure that your experience with us will be a totally wonderful and memorable one. Book with Chef & Griddle and you can look forward to one of the most professional catering operations you will probably ever experience. So why wait? Get in touch and give your event that vital missing ingredient. Big occasions need big food, and lots of it! We have catered for a huge number of events in all areas of the UK, from garden parties and wedding anniversaries to corporate events and society events, so we know exactly what’s involved when it comes to feeding the masses. A hog roast certainly delivers when it comes to large numbers and it most definitely delivers on great flavours. If you have an event organise, save yourself a lot of stress and speak with a member of the hog roast caterer team today. The only things you be stressing over is what sauce to have with your roast. It’s your event so enjoy it. Leave the hard stuff with us! We may be big when it comes to hog roasting but we are down to earth when it comes to delivering fantastic service and a local, dedicated approach. Deal with us and you’ll be dealing with a fantastic team that know your area and know what it takes to deliver a brilliant event. We believe in the local personal touch. It’s why people come back to us time and again. Our dedication to quality extends to the specialist hog roasting machines that we have developed. These great machines are not only superb pieces of CE approved kit, they allow us to cater for you in many different ways so we can provide just the catering you want. Hog roast really is a truly traditional feast dating back to Medieval times. Now, few hundred years later and the amazing taste and quite incredible aromas of hog roast are back with a vengeance! Such a fantastic feast deserves a bit of respect and we give it just that. We make sure that only the very best pigs from specialised local farms are used at each hog roast. Each pig is matured with just the right degree of fat as this helps produce that all important element, the perfect crackling. It is our dedication to selecting quality meat and quality cooking which helps make our hog roasts a totally unforgettable taste experience. Can you get cheaper cooking? Very probably. Can you get our level of quality anywhere else? Highly unlikely. If you want the best, you want us! There is something quite special about outside catering for a wedding. It adds that little but of luxury to what is sure to be the most amazing day. 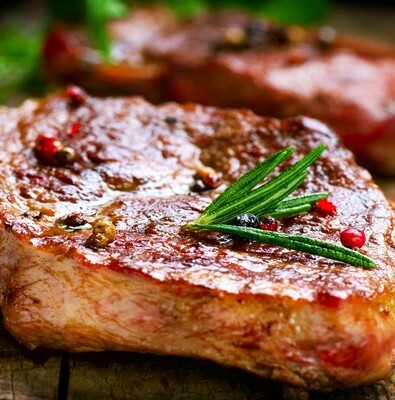 Just imagine it, our trained chefs will be roasting away some of the best local meat there is which in turn will be generating some incredible aromas that will really get people’s noses twitching. How wonderful would that be? Adding a hog roast to this most special of days really can add lots of extra sparkle to the day and delight everyone with the incredible, freshly cooked flavours of stunning hog roast, all cooked to strict food hygiene regulations. With our help. we can make this happen for you. We really care that your experience with Hog Roast Caterer is a wonderful one. We will always go that extra mile to ensure we have done everything we can to make your event perfect. Remember that you are not dealing with a faceless organisation but a local, dedicated and professional team that have a superb reputation to maintain. We will even give you the option to hire or buy your own pig roaster if we feel that would be more beneficial for you instead of bringing in our team. Speak to one of the Hog Roast Caterer team, explain your needs and we can give you the advice you need. Whatever you choose to do, we want to help make your event something special, so we will not let you down in any way. A hog roast event can make your event stand out from the crowd and will certainly be a talking point for not just those who attended but also for those who were unfortunate enough to not be there! 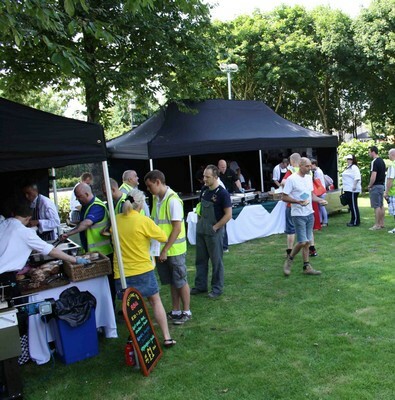 Whether your event is a small scale garden party or a big corporate style event with many key people in attendance, hog roast can really help make that vital bit of difference, turning ‘just another do’ into ‘that do’. 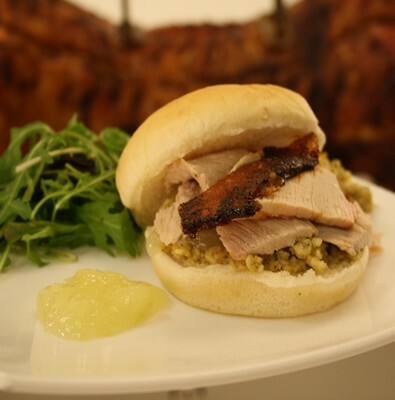 If you are hosting any sort of event or special occasion, make it standout by making it a hog roast catering event. Speak to one of our team today and look forward to an incredible occasion. With decades of experience in the hog roasting business, we have catered all over the county and country, at events ranging from huge corporate hospitality functions, wedding parties and launches, right through to smaller occasions at public venues and house parties alike. Many years as a hog roaster has shown us that the only way to compliment an exceptional cooking method like spit roasting is to never make concessions when it comes to our produce and ingredients. Being surrounded by luscious landscapes, our totally 100% organic seal extends to our huge array of both traditional and exotic vegetables and salads, as it would be foolish to do otherwise. Known county wide for our insistence on the highest quality ingredients and agricultural produce, our hog roasts have been a cause for national acclaim. Chef and Griddle is a first class catering company covering the entire United Kingdom including Brighton and Hove area and just about anywhere else you can imagine, uphill and down dale. Whatever occasion you may be celebrating, whatever the size of your event we are more than happy to provide a fabulous feast that you and your guests will never forget. We can travel anywhere in the country and its surrounding areas including: Aldrington, Black rock, Brunswick, Coldean, Hollingdean, Kemptown, Ovingdean, Patcham, Portslade-by-sea, Rottingdean, Saltden and Westdene to name just a few. We are proud of our unbeatable reputation throughout this fair land and have learnt this by using our years of experience and working hard to provide excellent quality hog roasts, buffet food and outstanding service to all customers. Over the years we have helped our clients celebrate birthdays, anniversaries, weddings, christenings, religious celebrations (such as Christmas and Easter) and many more occasions as well as providing local businesses with premium service for their corporate hog roast event. 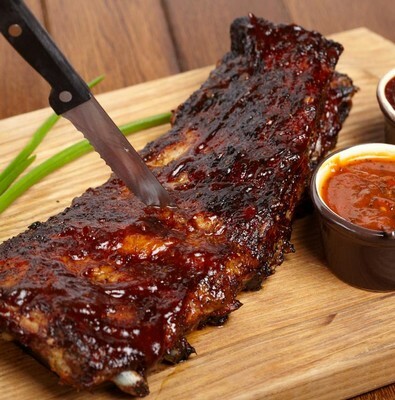 Take a look at our tasty menu ideas today. We have something to suit all tastes and any occasion. Take a look at our tempting canapés, meat options, vegetarian alternatives, BBQ ideas, side dishes and desserts. 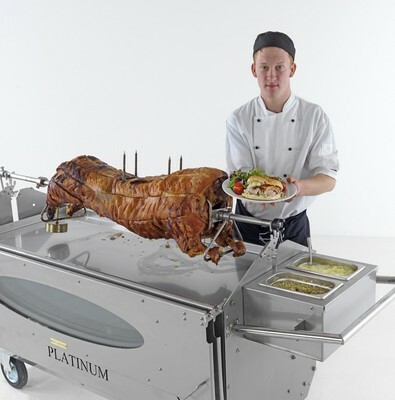 As well as catering events we also give our customers the option of hiring a spit roast or hog roast machine to enable them to do their own hog roast catering. Our machines are so simple and easy to use; giving you the wonderful experience of your very own catered hog roast as well as impressing friends and family with your new culinary skills. Hog Roasting is a traditional form of cooking fresh hog roast York meat providing hearty, generous portions of succulent quality meat. Whatever the event a pig roast is becoming an affordable alternative catering option, hog roasters all across the country give testimony to the affordable quality our hog roast company and machines deliver. Hog roasting and hog roasters are no long exclusive to the upper class, the extravagant chic banquet experience can be yours for a relatively cheap price with our hog roast hire service. 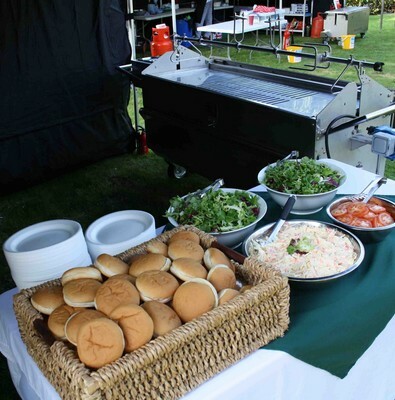 Our hog roast company provides a number of different menus, machines and prices to suit your party and appetite. Our machines make a luxurious addition to any bonfire party, a great centre piece, guests will be able to enjoy the crackling pork, beside a warm bonfire whilst fireworks explode and fill the cold winter night air. Warm food at affordable prices renting a hog roast machine is providing a traditional solution to modern dining and catering problems.